A good studio monitor should allow you to listen to the music accurately. While you’re listening position and the placement of the speakers are two factors that should be considered, the quality of the studio monitor itself should be on point. If you are on the lookout for the right kind of studio monitor that will satisfy your audiophile tendencies, then it is high-time you check out KRK RP5G3W-NA Rokit Studio Monitor. Is this product the one you are looking for? This article will be discussing the advantages and disadvantages of this particular studio monitor as well as the features and why we think this is a must for every music enthusiast. A good studio monitor should let you listen to the music accurately. With the KRK RP5G3W-NA Rokit Studio Monitor, you can achieve a natural balance between the highs and lows produced by the sound you are listening to. This product includes a pair of KRK RP5G3W-NA studio monitors. These studio monitors can deliver natural and balanced spectral reaction with a decreased level of distortion yet an increased level of superior imaging. The manufacturer of this product is considered as one of the most appreciated manufacturers of studio monitors in the world. Their audio engineers create their products and ensure that these products will deliver and meet the high expectations of its customers. These monitors have been the top choice of producers, professionals, artists, and recording engineers, for quite some time now. This is because the KRK Studio Monitors are known for the way they mix and master hit records around the world. They know that people want to hear every tone of the audio that is being produced. They use this knowledge to gain respect and loyalty of so many when it comes to buying studio monitors. The KRK Generation 3 Studio Monitors continue to amaze its customers. With its design philosophy, whatever your musical preference is, musical style, musical genre, or any particular mixing needs, the KRK Rokits Studio Monitor will deliver the same level of quality you expect from this equipment. These powered studio monitors can offer a excellent performance and can accurately record, mix, master, and playback. The system is comprised of 1 tweeter that is a soft dome which will provide an extended bass response up to 35 kHz and offer pristine clarity. It also provides a proprietary bi-amped, A/B class amplifier which grants SPL up to about 106 dB. This also includes a proprietary waveguide for the purpose of superior imaging. This waveguide is intended to ensure the detailed imaging wherever your listening position is. 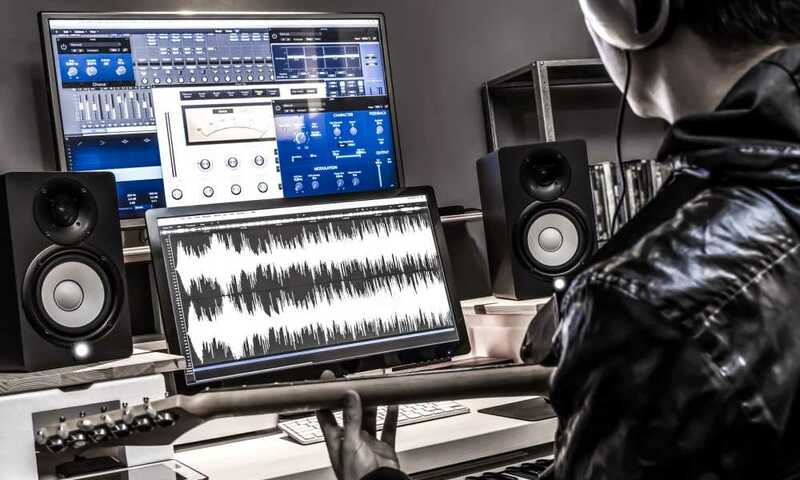 Furthermore, this studio monitor has several input connections which will ensure that the KRK Studio Monitors ROKIT 5 G3 can easily mix in any system configuration. There are not many disadvantages or setbacks when it comes to the KRK RP5G3W-NA Rokit 5 Generation 3 Powered Studio Monitor. If there is an issue with the sound, check to make sure that the placement of the studio monitors is correct. Consider the placement of your studio monitors and follow the 38% Rule. 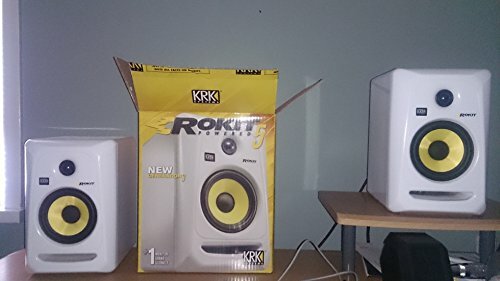 The KRK RP5G3W Rokit 5 G 3 Studio Monitor is definitely a great bargain if you are looking for a great surround sound system. It is affordable and reliable. And when you find that auditory sweet spot, you are sure to fully enjoy what it truly means to have a studio monitor. You’ll definitely get your money’s worth with this one.